As you can tell, the end of the world on December 21st 2012 did not happen. 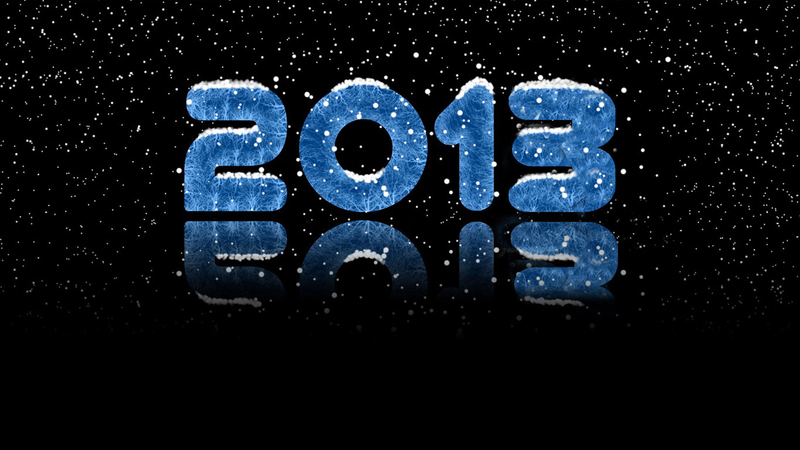 2013 is here! 2012 was an interesting period. The "God particle" was finally discovered, President Obama was reelected, America took the most medals at London's Olympics; unfortunately, we had some tragic moments as well. Natural disasters such as hurricane Sandy caused great damage and loss of life. 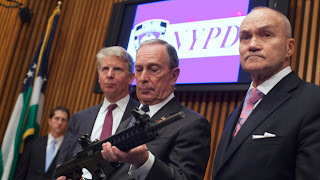 We had horrible shootings at a movie theater in Colorado and an elementary school in Connecticut where innocent lives were taken by disturbed individuals. Nevertheless, we must continue and make this world a better place. Please take this time to reflect on 2012 and see what needs improvement in your life. Visit, call, message your family and loved ones. Commit yourself to contributing to the world more positively. 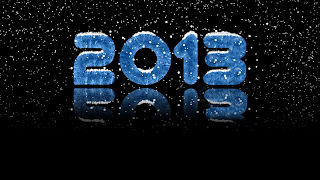 May 2013 bring faith, love, hope, peace, health, prosperity, and joy to all. Around Advent and Christmas time we hear about different "holidays" that are celebrated. Hannukah is one of them which deals with the festival of lights, or when the temple's lamp gave light for 8 days despite its short supply of oil. The other one that is spoken about and taught in schools is Kwanzaa. 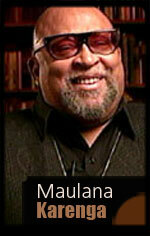 Kwanzaa is a holiday created by Ronald McKinley Everett, also known as "Maulana Karenga." He is a philosopher and professor at California State University. He formulated the "Kwanzaa" holiday as a response to the holidays already celebrated and how he saw them as an attempt to take away African identity since Africans celebrate them as well. He considered Jesus to be psychotic and that Christianity was a "white religion" that was imposed on Africans. Kwanzaa, which means "first fruits of the harvest" was started by Karenga in 1966. It was meant to be a holiday for African Americans to celebrate either alongside Christmas or as a replacement of it. The theme stems from the radical Black nationalist rhetoric of the time. Its sole purpose was to animate the African American community to rediscover their African roots and foster respect for one another while at the same time creating animosity towards whites. Ironically, Karenga was arrested and sentenced in 1971 for felony assault, sexual assault and false imprisonment. 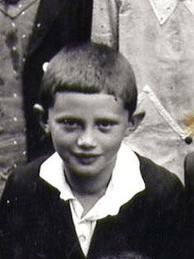 Karenga abused, raped and held captive women. He used water boarding torturing techniques on them. Karenga admitted to the crimes claiming that the women were trying to kill him. In 1975, he was granted parole and continued studying feminism and African studies. African culture is very different from American culture. It is a collectivistic culture which stresses community life and adherence to social customs, beliefs and African philosophy. Africa has many cultures within its borders, but the idea of community over self is found pretty much in each of them. This is a sharp contrast to American culture which is more individualistic. Kwanzaz emphasizes the "Nguzu Saba" or the Seven principle of African Culture. Kujichagulia - is self determination. It calls for African Americans to discover the self and what they can contribute to themselves and others. Ujima - is community work and responsibility. 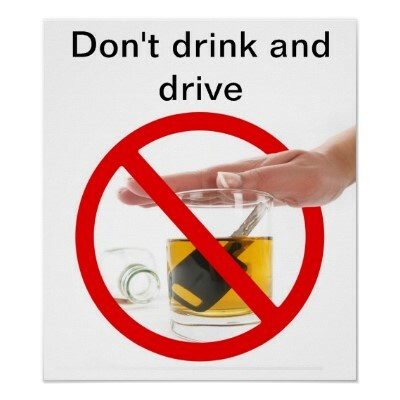 It stresses the need for working together and being responsible individuals while avoiding being selfish. Ujamaa - is cooperating with Black business enterprises. It calls for the support of African American businesses and promotion of them as a community. Nia - is self purpose. It calls for a discovery of one's potential and how it can contribute to a community while holding on to traditions. Kuumba - is inspiration or creativity. It calls for the use of innovative ideas in order to keep African heritage and community alive and relevant as times change. Imani - is Faith. It calls all to have Faith in God, each other and oneself and realize the importance of how faith can help in times of trouble. Each of these themes are recollected upon by lighting a candle on the Kinara, which is a candle holder that holds 7 candles. The middle candle is black, and the others are red and green. A common cup is used to symbolize unity and the offering of libations. 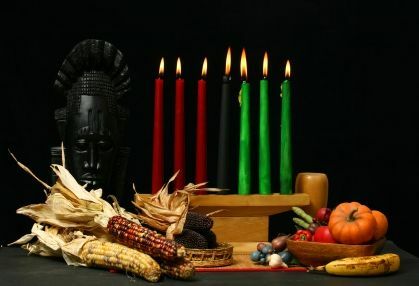 Vegetation such as corn and other crops are used to decorate the Kwanzaa celebration. They symbolize the gifts of the Earth and the work done to obtain them. African music may also be incorporated into the celebration. Kwanzaa is obviously a repackaged Afro-centric version of Christmas and Hannukah. It was started as an attempt to get African Americans to replace Christmas due to its "alien" source of introduction to the African people by Europeans. The sole purpose of it was to create a sort of social warfare between African Americans and those of European descent. We are all ONE in Christ Jesus. There is no White, Black, Latino, Asian, Indian form of Christianity. We are all ONE. In light of this, there is no need to create these gimmick holidays in order to stir divisions among peoples of different racial backgrounds. 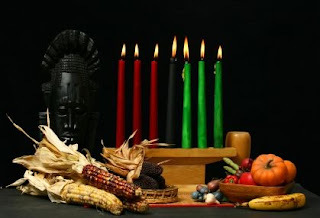 The celebration of Kwanzaa is beautiful if reflective on faith and one's culture, but not needed by Christians. Our race, our communities, our individuality are upgraded in Christ Jesus who was born of a Virgin, died on a Cross for us all and rose from the dead showing we need to trust no one else but He who is above life and death. Jesus was not psychotic. What psychotic individual would preach love and heal the sick? 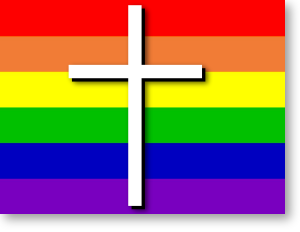 What psychotic individual would stress unity, peace, and agape love? I am bothered by how Kwanzaa is pushed upon children in schools. Christmas is the sole religious holiday recognized by the United States federal government. Yet Kwanzaa and Hanukkah are overly emphasized as the "holidays" of the season. Meanwhile, Christmas is watered down to a mere tree or snowman - Santa Claus is even left out in today's schools. Christians must fight back and demand that Christmas be respected and truly observed in schools and the public square despite its religious tones. It is only fair. "Christ" is already in the word "Christmas" so what is the problem with going more into detail on this holiday which is officially a federal holiday? There is nothing wrong with teaching kids of all faiths or no faith what Christmas is and why it is important to over 3 billion people on Earth. 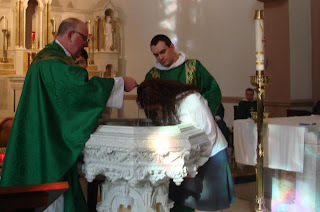 No one is asking them to be baptized or accept Jesus. Karenga, Maulana (1967). "Religion". In Clyde Halisi, James Mtume. The quotable Karenga. Los Angeles: University of Sankore Press. pp. 25. 23769.8. In this Year of Faith, I express my Christmas greetings and good wishes in these words taken from one of the Psalms: "Truth has sprung out of the earth". Actually, in the text of the Psalm, these words are in the future: "Kindness and truth shall meet; / justice and peace shall kiss. / Truth shall spring out of the earth, /and justice shall look down from heaven. / The Lord himself will give his benefits; / our land shall yield its increase. / Justice shall walk before him, / and salvation, along the way of his steps" (Ps 85:11-14). Today these prophetic words have been fulfilled! In Jesus, born in Bethlehem of the Virgin Mary, kindness and truth do indeed meet; justice and peace have kissed; truth has sprung out of the earth and justice has looked down from heaven. Saint Augustine explains with admirable brevity: "What is truth? The Son of God. What is the earth? The flesh. Ask whence Christ has been born, and you will see that truth has sprung out of the earth . truth has been born of the Virgin Mary" (En. in Ps. 84:13). And in a Christmas sermon he says that "in this yearly feast we celebrate that day when the prophecy was fulfilled: `truth shall spring out of the earth, and justice shall look down from heaven'. 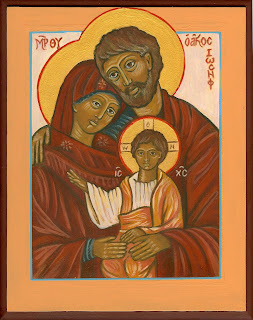 The Truth, which is in the bosom of the Father has sprung out of the earth, to be in the womb of a mother too. The Truth which rules the whole world has sprung out of the earth, to be held in the arms of a woman ... The Truth which heaven cannot contain has sprung out of the earth, to be laid in a manger. For whose benefit did so lofty a God become so lowly? Certainly not for his own, but for our great benefit, if we believe" (Sermones, 185, 1). "If we believe". Here we see the power of faith! God has done everything; he has done the impossible: he was made flesh. His all-powerful love has accomplished something which surpasses all human understanding: the Infinite has become a child, has entered the human family. And yet, this same God cannot enter my heart unless I open the door to him. Porta fidei! The door of faith! We could be frightened by this, our inverse omnipotence. This human ability to be closed to God can make us fearful. But see the reality which chases away this gloomy thought, the hope that conquers fear: truth has sprung up! God is born! "The earth has yielded its fruits" (Ps 67:7). Yes, there is a good earth, a healthy earth, an earth freed of all selfishness and all lack of openness. In this world there is a good soil which God has prepared, that he might come to dwell among us. A dwelling place for his presence in the world. This good earth exists, and today too, in 2012, from this earth truth has sprung up! Consequently, there is hope in the world, a hope in which we can trust, even at the most difficult times and in the most difficult situations. Truth has sprung up, bringing kindness, justice and peace. In the countries of North Africa, which are experiencing a major transition in pursuit of a new future - and especially the beloved land of Egypt, blessed by the childhood of Jesus - may citizens work together to build societies founded on justice and respect for the freedom and dignity of every person. May peace spring up on the vast continent of Asia. May the Child Jesus look graciously on the many peoples who dwell in those lands and, in a special way, upon all those who believe in him. May the King of Peace turn his gaze to the new leaders of the People's Republic of China for the high task which awaits them. I express my hope that, in fulfilling this task, they will esteem the contribution of the religions, in respect for each, in such a way that they can help to build a fraternal society for the benefit of that noble People and of the whole world. 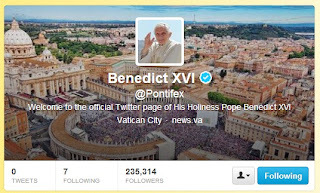 Atheism is growing in popularity due to the social media. Facebook, Myspace, Twitter et. 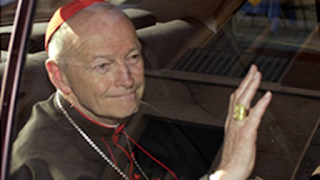 al, provide an atmosphere where people can voice questions and comments they normally would not direct to clergy of any particular faith. In my life working in the Church, I seldom see anyone approach a priest or deacon and question God's existence. However, while surfing the net, I see thousands upon thousands of blogs, twitter accounts, facebook profiles all voicing all kinds of questions and comments regarding God. 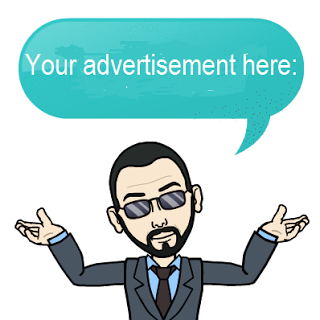 The internet provides a sense of anonymity among its users. One can be anyone online. With so many screen names to choose from, one can simply pick one and do whatever - granted TOS rules allow them. Because of this, atheists have taken the internet as their temple, so to speak. In it they gather and pat each other on the virtual shoulder in an attempt to get support they normally would not get in real life. 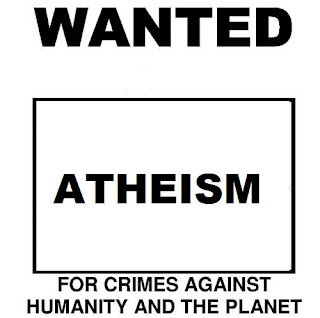 Now back to why atheism is a crime against humanity. 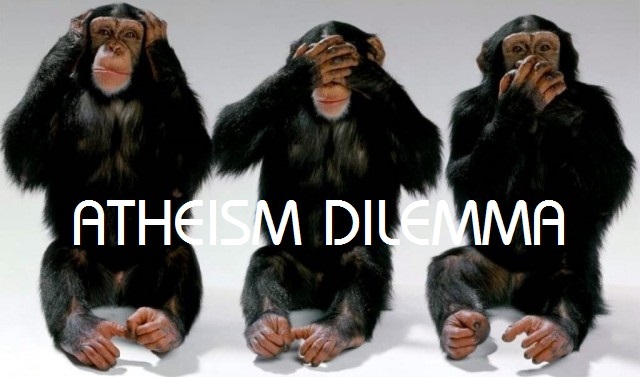 When I write that atheism is a crime against humanity, I do not necessarily mean that it is some entity that abuses humanity in ways similar to Nazism and the like. What I mean is that it robs humanity of humanity. Human beings are distinct creatures on earth. They are aware of themselves, can think, express themselves via language and other means and feel emotions. Human beings can also think in abstract ways. Their brains can think beyond the physical parameters of this universe. As children, we went through many stages of development. Piaget gave us certain terms that define these stages. Infants begin to use their sensorimotor intelligence which allows for them to combine their sensory input with their motor skills in order to make sense of the world. They assimilate this information and compare it with what they already have processed. Those ideas are accommodated or adapted to old ideas or even replace them to make new ones. We thenbegin to use emotions and apply them in appropriate settings by means of self-regulation. As we advance in age, we begin to "experiment." By means of preoperational thought, we go through the static reasoning, irreversibility, conservation and animism stages. In static reasoning, we reason that nothing changes around us. In the irreversibility stage, we reason that nothing can be undone. Conservation is the idea that a substance amount remains the same even if its appearance alters. Animism is the belief that all things are alive in nature, including inert objects. Play during these years is extremely important. Archaeologists have found toys dating thousands of years which shows that playing with toys has been a part of human development since man has walked this Earth. During play, children can use their imagination. This, alongside animism, helps the child's cognitive abilities expand. Without this kind of play, children will not develop creativity and abstract thought. They will solely rely on physicalism as their platform to form thoughts and ideas. Abstract art, music, even geometry would not be possible since neither exist in the physical realm. 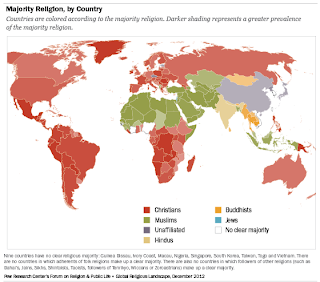 This is where atheism would be a crime against humanity in the developmental sense. Atheists do not believe in God or the supernatural. They do not allow themselves the ability to process ideas that are not relative with the physical realm. Atheism would foster a world based on static reasoning and conservation. Atheists like to pride themselves in being "rational" and "logical." They measure all things against "reason" and "logic" in order for it to be truthful and valid for assimilation. In a sense, they imitate Star Trek's Spock, or his Vulcan race which applies and lives by logical premises. In the Star Trek series, we see how Spock despite his intelligence, always struggles to understand even the simplest of things. Star Trek always presents the human being as the real smart one despite having "human qualities" that may appear inferior to other intergalactic species. Logic and reason are fine. They serve us well. The key word is 'serve.' These concepts exist to benefit us, not the other way around. We do not exist to be logical or rational in a sense. To be human is to sometimes do the opposite of what logic and reason tells us. This is how we experience "thrills." This is how we learn. In a world that is stoic in nature, we would not have amusement parks, music, dancing and other forms of entertainment. 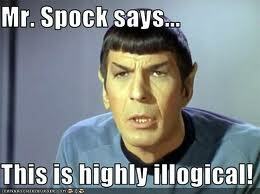 We would find those "illogical." Any such attempt to try these activities would go against one or more logical premises. Concepts such as emotions, affection and love would not fit in a logical world. They cannot be measured empirically and are based on introspection so they must be disposed of. It is no wonder why Spock's race stresses the purging of all emotion. Emotion is seen as irrational and illogical. The Vulcans in the series often mock human being's for possessing this "inferior" trait that, according to them, makes them unfit. Atheism is on the road to this absurdity and repression of humanity. In a world where atheists would dictate rules and scripts for society, we would see the mental state of individuals plummet. People will be repressed and will go mad without the ability to use imagination and abstract thought. Ironically, the Vulcans at a certain age go mad due to repressed emotion and "Vulcan nature." 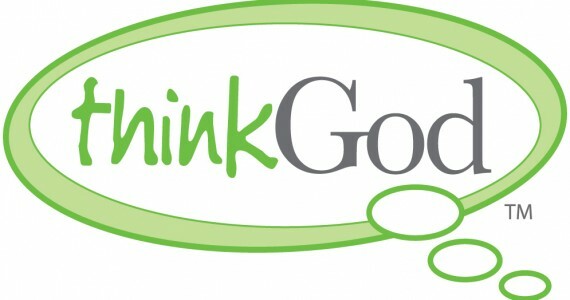 The vision that atheism and humanism have for the human being is not a good one. It is one deprived of humanity. It is a pseudo version of human nature that is destructive. VMAT2 shows that we are hard wired to seek God and the supernatural. Our brains are wired to think beyond this universe and into the unknown. Philosophy, religion, music, art, even physics and mathematics would not exist if we suppress this part of our mind to look beyond the physical. 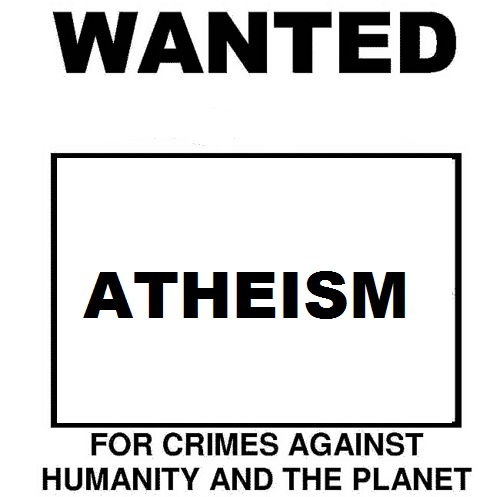 Atheism would be a crime against humanity. 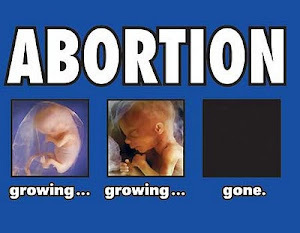 It will destroy the human race completely, or leave it incapacitated biologically and psychologically speaking. Esta letra es el comienzo de un himno Catolico que se canta durante el Adviento. Es una cancion muy bonita con un mensaje muy profundo. Somos un pueblo que camina sobre la tierra. Un pueblo gritando "Ven Senor!" El grito es un accion que se hace cuando alguien esta oprimido o en peligro. Nosotros en este mundo estamos oprimidos por el pecado, la maldad, y la inmoralidad. La violencia, el odio nos tiene contra la pared. Estamos en peligro cada dia. En el instante parece que estamos solo, pero en verdad no es asi. Dios esta con nosotros. Jesucristo es el libertador. Cristo rompe las cadenas que nos tiene atado al pecado, la maldad, la inmoralidad, la violencia y el odio. Cristo es la luz que alumbra las oscuridad. 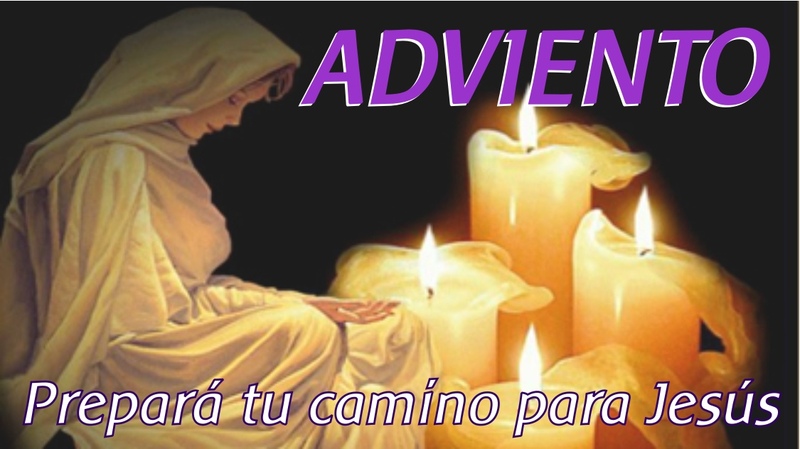 Durante este adviento y navidad, vamos a pedirle a Jesus que ilumine nuestros corazones. Vamos a pedir la sabiduria para hacer las decisiones que estan de acuerdo con la voluntad de Dios. para los que vivían en tinieblas. Here's an academic challenge for @Rosarubicondior and atheists; especially those who believe Christmas and all it entails to be myth. You are to prove with evidence that Christmas is indeed a myth and that no such person named Jesus Christ was born or existed which instigated the formation of the world's most powerful religion. You must provide with evidence the originator of this myth and his/her intention. You must explain why this myth was so powerful that it spread globally as Truth and is taught in university curriculum in history and theological departments. You must explain why this myth is still relevant 2000 + years later. You must explain how billions have encountered this mythological being named Christ and how this person has worked miracles in their lives if He never existed. Today, December 21, 2012 is the first day of the winter solstice. Days will be shorter and the position of the Earth on its axis will alternate causing some regions to receive less sun and more cold weather. This is completely normal. So what makes this day so special or big for some? Well there are some who are putting too much emphasis on a calendar derived from the Mayan people. The Mayans were advanced considering they had no computers or technology that we have today. They knew math, astronomy and were very skilled people in general. With their knowledge of the heavenly bodies, they developed calendars just like any other civilization did. The Mayan's calender is extremely detailed and complex. For example, each day in a 52 year cycle had a particular designation. Their system was built on a cyclical approach. Time periods passed via "cycles." Thirteen "bactuns" in the Mayan system is equal to an epoch in which a new cycle begins. A Mayan epoch translates as 13 bactuns which would total bout 5130 years. The current epoch is about to end and a new one will begin. However, scholars disagree on whether or not this will take place today. It may have happened already, or may happen over the weekend. Some people who are obsessed with the "end times" have fed off of this calender and built on it to create this paranoia. Unfortunately, some fall for this and start following strange cults which can turn deadly. The fact that today some of the planets in the solar system will be in alignment with the plane of the galaxy also adds to the hysteria. 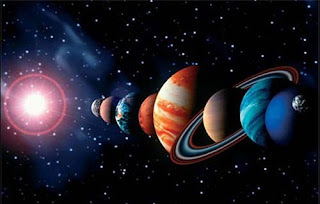 According to these people, this alignment will cause a shift of energy from the gravitational pull and either push the poles off their original point or destroy the solar system. This of course will not happen. The galaxy is huge, planets are millions of miles away and we barely feel their gravity. It would be like someone feeling your breath from Mars while you're in Antarctica. New Age people came up with all sorts of crazy ideas about energies and that somehow today the human species will receive some higher consciousness and become godlike. This of course is nonsense. Planetary alignments happen all the time and we do not even notice them unless we pay attention to the skies. Another idea is that some rogue planet Nibiru will crash with Earth and basically obliterate everyone. To date, NASA has not detected any large body coming out way. If there was a large planet heading our way, we would be able to see it in the sky now just like we can see the moon! Moreover, even if there was a rogue planet heading our way, Jupiter's and Saturn's gravity would pull it away from us as they do with asteroids and comets. 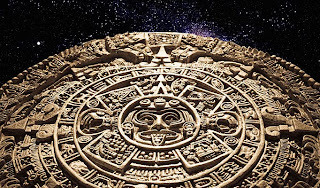 In reality, the Mayans did not believe today to be the end of the world, but the beginning of a new epoch in their time system. It is like a new beginning - a new year or new spring. 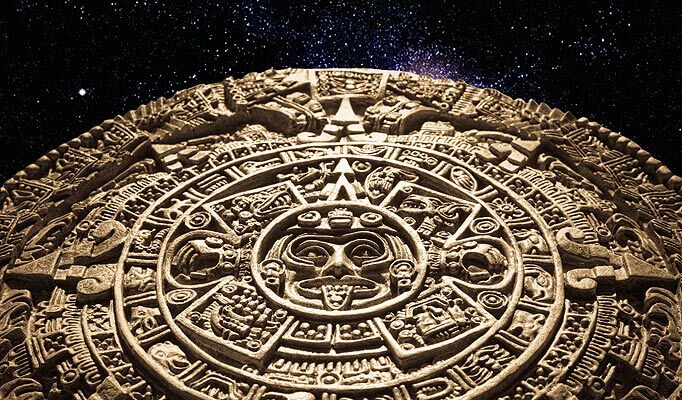 The Mayans that are left today hold no such belief that the world or universe will end today. Moreover, can we trust predictions from a people who did not see the affect the influx of Europeans would have on their civilization prior to their arrival? How could they see 5000 years into the future, but could not see that Europeans were about to visit them and cause major changes in their community? Despite this, there are many who are stocking up on supplies, buying weapons and anticipating the worst. Others are trying to channel energies in an attempt to become "godlike." This is sad indeed and shows how susceptible the human mind can be to stupidity. The destruction of Mayan texts by Franciscan priest Diego de Landa is often brought up in an attempt to add to the conspiracy theory that those texts had information that would discredit Catholicism and Christ and therefore must have had information regarding the end times. However, what they forget to mention is that de Landa did not destroy those texts our of fear or ignorance. He did so because he learned that the Mayans were killing their own people and throwing them into the cenotes as sacrifices. These texts encouraged human sacrifice and other barbaric things. They had to be destroyed in order to preserve the Mayan people. If you are reading this then you obviously know that the world did not end. Friday 12:00 AM hit Australia just 5 hours ago and they are fine there. No one knows when the world will end. 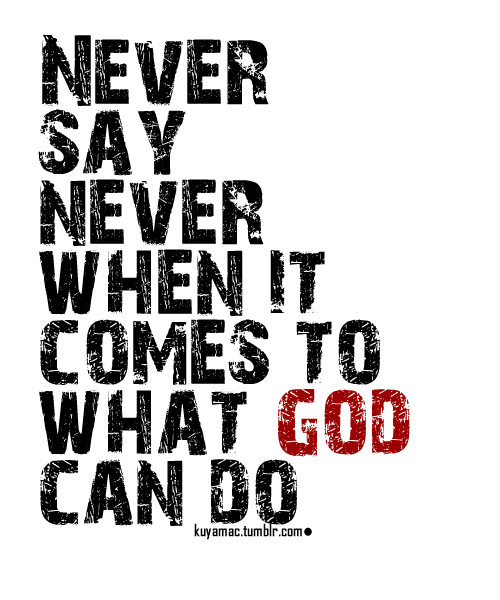 Only God knows this. God holds the stopwatch in His hand and will stop it when He sees fit to come again and measure each one by the love they gave to Him and each other. So relax, enjoy life, do good and don't worry about the end. We are a people of hope, not despair. A deranged individual entered Sandy Hook Elementary school in Newtown, Connecticut and killed over 18 children and 26 adults. 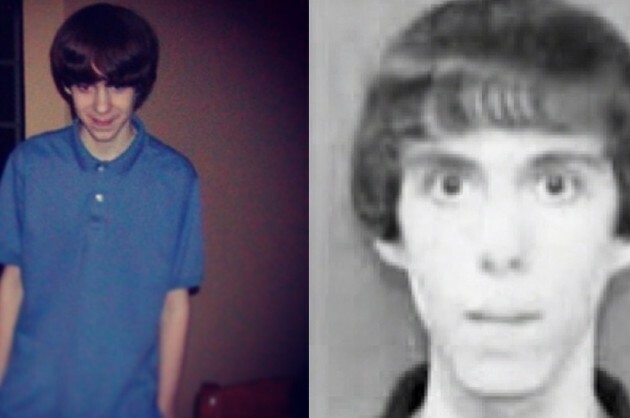 This disturbed man whose mother works at the school also committed suicide. Twitter and other social media were flooded with status updates and inquiries regarding this horrific event. Parents were of course panicking not knowing what was going on and if their children were casualties. It is so disturbing and so depressing to learn of these events. 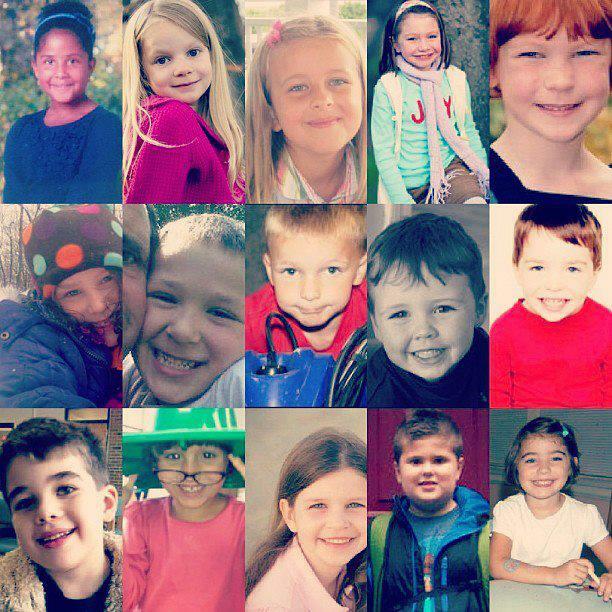 The death of anyone is something that no one wants, but when it comes to children it hurts a little more. 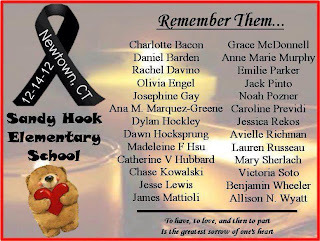 I can't imagine the pain the families are going through now knowing the last time they saw their children was prior to school. They sent their kids to school thinking it to be a safe and sound place and now have to face this tragedy. It pains my heart even thinking of it. I know how hard it is to lose loved ones especially if you just saw them a few hours before death. The sight of their items triggers emotions that we are not used to. 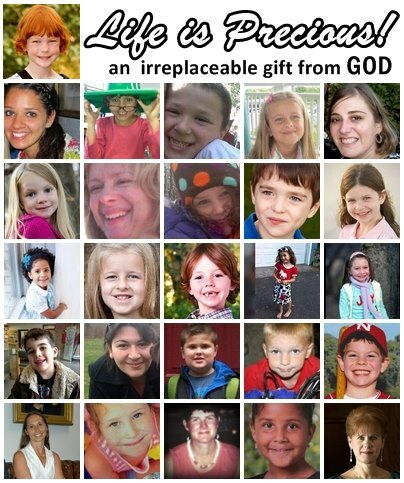 I pray for these families and all those who are suffering this great loss of innocent life. Let us pray for America and for our schools. This violence has to stop. Adam Lanza, 20 years old is the suspect involved in the slaughter of children and adults at Sandy Hook elementary school. The medical examiner has stated that the victims were shot in close range with 2 hand guns a semi-automatic rifle. 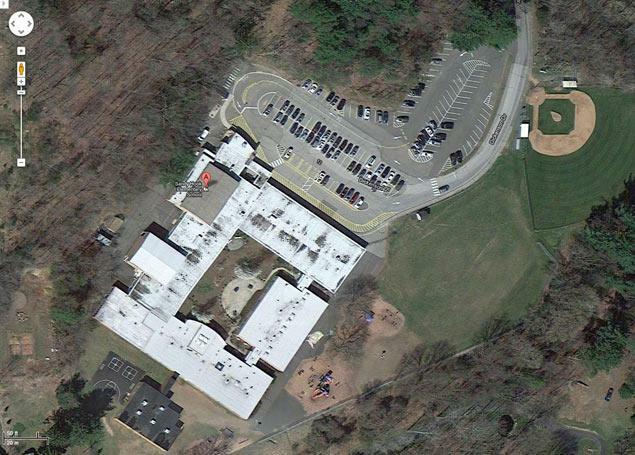 He shot and killed his mother and then made his way to the school to kill there. The official count now is 27 adults and 20 children who were murdered by Adam Lanza. @pontifex aka, the Holy Father Pope Benedict XVI has just sent his first tweet. 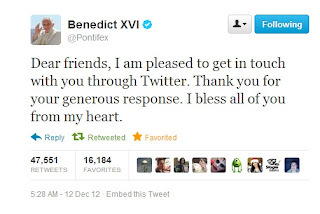 Within seconds, the amount of retweets and favorites increased as seen here in this screen capture! I am glad to see that the Pope still can gather a crowd anywhere in Jesus' name! We all have heard the term "War on Christmas." Reporters such as Fox news anchor Bill o' Reilly is constantly having segments on it on his evening program. Is there a "War on Christmas?" There have been many theories regarding this. Some believe the war began in 1921 when Henry Ford voiced his concern against the Jews' attempt to ban public celebrations of Christmas. Others believe it began in 1959 with the United Nations pushing for more humanistic displays at department stores during the holidays. Whether these are the origin or not, we are not sure. However, there is indeed an attempt to push Christmas and Christianity in general out of the public square. Atheists, Secularists and others have been trying hard to get Nativity Scenes banned. The use of so-called "Politically correct" language also has attempted to water down Christmas to a mere "secular holiday" by replacing "Merry Christmas" with "Happy Holidays." I write a bit on this here "Happy holidays..yeah right!.. it's MERRY CHRISTMAS!!!" In Rhode Island, a politician is trying hard to push Christmas aside by calling a Christmas tree a "Holiday tree." Similar attempts have been made throughout the United States. Holiday tree? hmmmm... Doesn't sound right. What's interesting here is that these people push these strange ideas in the name of "separation of Church and State." Obviously these people are not well educated in US history and law. Christmas is the sole religious celebration that is designated a Federal holiday. Rep. Burton Chauncey Cook of Illinois introduced it as bill before the House of Representatives. It passed there and passed the Senate as well. President Ulysses S. Grant then signed it into law on June 28, 1870. An Act making the first Day of January, the twenty-fifth Day of December, the fourth Day of July, and Thanksgiving Day, Holidays, within the District of Columbia. Be it enacted by the Senate and House of Representatives of the United States of America in Congress assembled, That the following days, to wit: The first day of January, commonly called New Year's day, the fourth day of July, the twenty-fifth day of December, commonly called Christmas Day, and any day appointed or recommended by the President of the United States as a day of public fast or thanksgiving, shall be holidays within the District of Columbia, and shall, for all purposes of presenting for payment or acceptance of the maturity and protest, and giving notice of the dishonor of bills of exchange, bank checks and promissory notes or other negotiable or commercial paper, be treated and considered as is the first day of the week, commonly called Sunday, and all notes, drafts, checks, or other commercial or negotiable paper falling due or maturing on either of said holidays shall be deemed as having matured on the day previous. In light of this, Atheists and others have no right to demand the censorship of Christmas. It is a legal federal holiday and must be respected. Moreover, public schools should not be afraid to have a Nativity scene alongside a Hanukkah Menorah, and Kwanzaa display. Ironically, the latter are not even federal holidays and yet they are displayed without issue. This is not fair. In reality, only Christmas scenes are the only things that should be displayed during the holiday season. Christians must wake up. Catholics, Protestants, and Easter Orthodox must voice their concern and remind society that only Christmas is the sole federal holiday and must be respected. Priests and clergy of other denominations must instill this into their people who have voting and purchasing power. No offense to my brothers and sisters in the Jewish and African American communities, but their holidays are not federal. It is offensive to me to see their customs displayed in public schools with deference, while Christmas is reduced to a mere Santa Claus - even a mere snowman or snowflake. Public spaces and schools should have a Nativity scene and should teach the significance of this federal holiday, not to promote religion but to promote academia. Our children deserve to be taught about Christmas in an academic setting since Christmas is a federal holiday. Fight back against this attempt to erase from society what is legally protected. 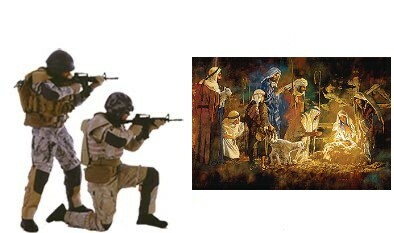 Only Christmas is protected under federal law. Atheists and other groups have no right to replace it with something that is not legal. Some time today my blog hit 200,000 visits! 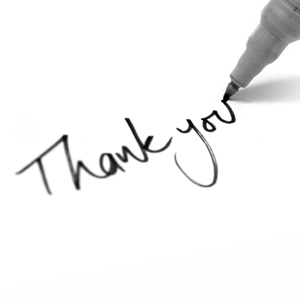 I would like to thank everyone who reads my blog. In such a short time this blog has grown so much. During Advent season, families should set up an Advent wreath in the family room or other suitable place where the family can gather. They should pray and reflect. The Advent wreath is a symbol of Christ. The "circle" of the wreath and evergreen color are symbols of eternity. Jesus is the alpha and the omega. The 3 purple candles represents our penance as we await the Savior the world. The rose candle represents hope. The flame represents Christ who is the Light of the World. 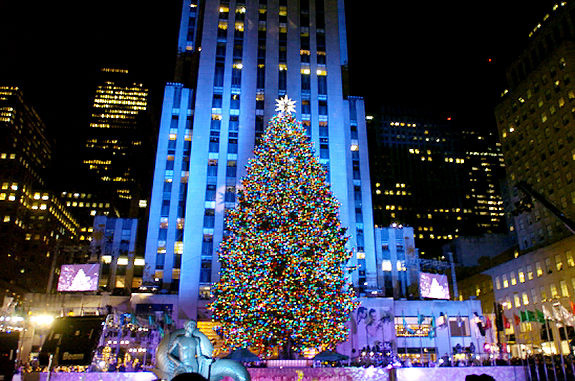 On Nov. 28th, the huge Christmas Tree in Rockerfeller Center in New York City was lit up. The media and those who participated cried out "Now the Christmas season has officially gone underway..." Wrong! The Christmas season begins at sunset on Christmas Eve and ends at the Baptism of the Lord. We are currently about to enter the season of Advent, not Christmas season. When will secular society return Christmas back to the Catholic Church? It is our holiday! 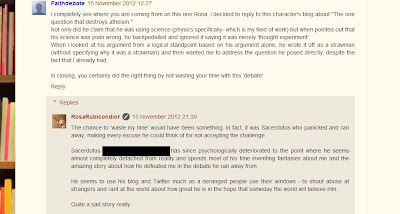 Atheism many times presents itself as the sole rational position. If one is not an Atheist, one is not "rational" or "intelligent." Those who are religious are considered "superstitious" or in living in the "Bronze age." The latter is extremely far from the truth since it was the Catholic Church who gave us modern science as we know it. 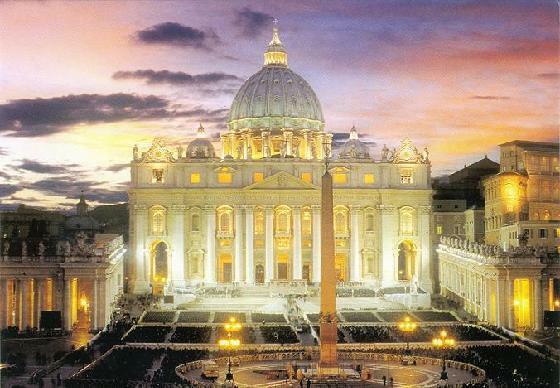 Before CERN, NASA, or any scientific institution, there was the Catholic Church. Franciscan Friar, Roger Bacon formulated what is now universally used to obtain empirical evidence: the Scientific Method. Without this method, we would not have discovered the many scientific discoveries that are taught today. From Evolution, to the Big Bang, from Chemistry to Biology; none of the knowledge we possess today would have been possible had it not been for Friar Bacon and the Catholic Church who supported him. It is funny to hear Atheists cite Science as the "killer of God." Science is no such thing. 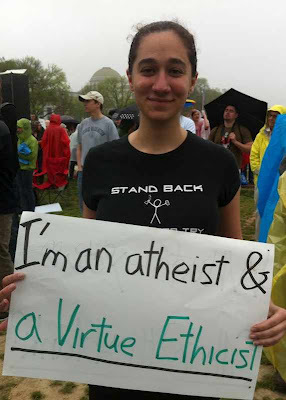 It is even funnier to hear Atheists claim that religion opposes Science. Again, this is a distortion of the truth. The Catholic Church being the pioneer of modern science and academia has always advocated its use to learn of God's creation. 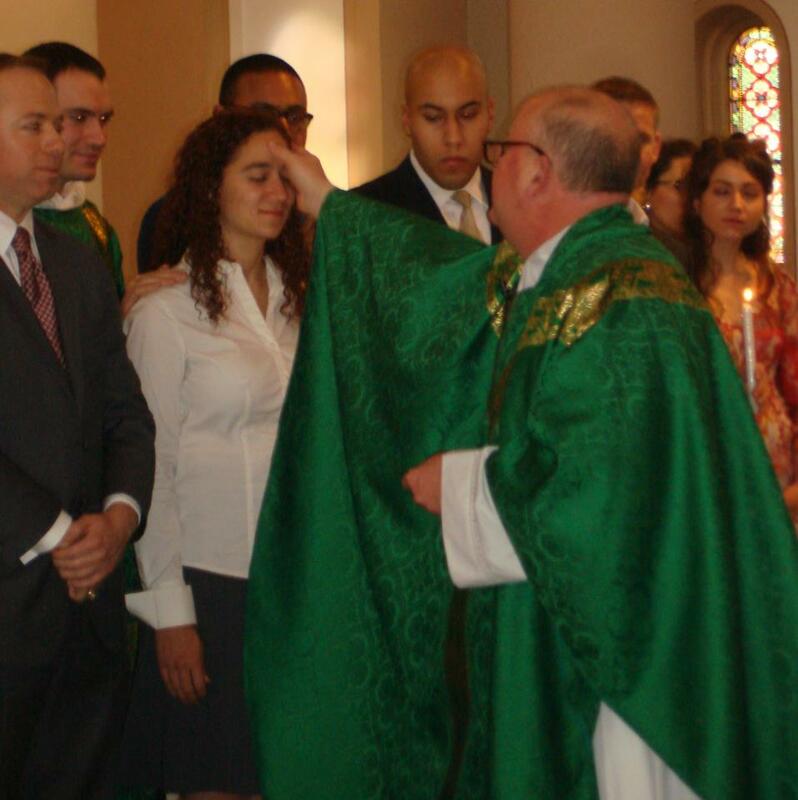 The Church is not alone. Islam as well produced many great mathematical and scientific minds. How can these 2 great religions produce science and hate it at the same time? 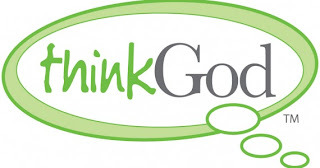 Moreover, how can science "kill God?" 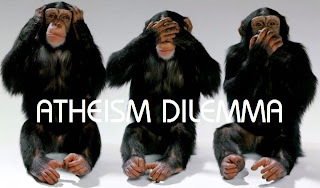 Well, Atheists often cite Evolution and Physics in order to "disprove" God. Using misunderstood knowledge, they create all kinds of sophistries in an attempt to formulate supposed logical arguments against the existence of God. Well let's take a look. Simply put: Evolution is the theory that all organisms developed throughout time from primitive genetic points. In other words, all life gradually changed over millions of years developing into its present complex structure. It is an ongoing process that will see more changes as time passes. The theory was first proposed by Charles Darwin, a Christian who authored The Origin of Species in 1859. In the book, he describes his observations while on board the HMS Beagle on a 5 year journey. He noticed similarities in organisms that led him to conclude that they had a common ancestry. Human beings were found to have many similarities with the ape. Evolution takes place in many ways. Microevolution is one of them. In microevolution, tiny changes or mutations take place in the genetic makeup of organisms. These changes are possibly due to errors in genetic processing and/or environmental factors. Radiation and chemicals have been observed to cause mutations in genetic material. Natural Selection is another manner in which Evolution takes shape. In Natural Selection, an unconscious agent or mechanism is believed to dictate which organisms are strong enough to survive. Those organisms with genetic structures that are not built to handle the environment will eventually become extinct. Only those who have a better genetic build up will survive and therefore add to diversity among organisms. Then there is Speciation which is the point where an organism mutates and becomes a different species. This difference makes it incompatible to reproduce with organisms that still retain the older genetic buildup. The consequence is a new species that can only reproduce with its own kind. Evidence for Evolution is based on observations in the fields of anthropology, homology, paleontology, and molecular biology. Abiogenesis is also cited as proof that God cannot possibly exist nor could have created man. Abiogenesis is the study of how life can come from inorganic compounds. This is believed to have taken place during the Eoarchean period in which the molten Earth was cooling down. As this occurred, the molecular structures of inorganic materials formed together in such a manner that bacteria was formed - or carbon/water based life. It is then believed that from this primitive life, new species evolved. The concept is not impossible. Scientists created an artificial cell using synthetic Mycoplasma Genitalium which has its origin in parasitic bacteria. Recently, an artificial Jellyfish was created with rat cells and silicone. The question is, do the aforementioned disprove God? The answer is no. These theories and ideas all deal with natural processes and not causality. Evolution is still a theory with many gaps in it. There are still issues with it such as the HAR1 gene, the Cambrian explosion, missing fossil records, the Missing Link and so on. Despite claims that the "Missing Link," or transitional fossils were found, these have all shown to be false. Nevertheless, the theory is still valid and can stand for now based on the evidence collected. In Physics, we learn that matter cannot produce information. All matter in this universe is information. The structure of it, how it is built and interacts, and what makes it construct itself in the way it does is all information. Think of the universe as a computer screen. In a computer, the OS system organizes data in such a way to allow the user to interpret it in the way human beings learn to use language and data. Data is a collection of codes that organize to create images on a screen. The codes on a computer are programmed in such a way that the user can tell a Word document from a Music file. Both possibilities might satisfy a rational mind; however, when we observe how we program DVD's, CD's, computers and the like, the latter makes more sense. Computers, DVD's, CD's - all which are matter - do not program themselves. A programmer is needed. Since the universe is information and it cannot produce it on its own, the logical conclusion is that an external intelligence capable of programming instilled the information within matter. When the impossible is extinguished and all that is in its place may be improbable due to lack of tangible evidence, then the latter must be the reality that holds what is true. In light of this, neither Evolution or Abiogenesis can "kill god." Both would merely be the instruments of an intelligence used to create and sustain life. All processes whether natural or man-made have an origin. Both need a mover.